Getting organized by creating a system to fast start yourself each day by using a yellow pad and about 15 minutes. might be surprised at the results. Here is the best tip I ever found to help me get up and running every day. 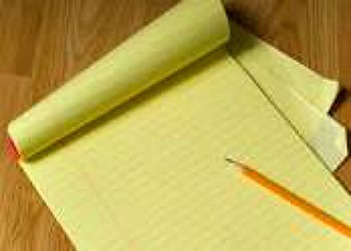 Get in the habit of taking a yellow pad and then sit down for about 15 minutes at the end of the day before you call it quits. Then just start writing down all the things you need to do the next day and the rest of the week. A sort of "to do" list. Just do it at random as the thoughts come to you. Then take a quick look at that list and then create 3 categories, and enter each item in its respective category. Once you get in the habit of doing this, it will only take you about 15 minutes to do every evening. I usually just crossed off the things I accomplished, and then re-added to each category the next evening. Then about every 3 days or so, I just made a new page and a new list. I use to astrik the most important items so that I attacked those right away. On the following pages on my yellow pad, I would add reminder notes, such as when calling john doe for lunch remind him to bring both his and his wifes insurance policies, etc. Once this list is completed, put it on your desk before you leave the office, so that it is the first thing you look at every day. Even with today's computer technology, this is by far the quickest and best way to help you self get organized. It is right in front of you like a beacon of light, sitting on your desk, waiting for you to take action. I sincerely believe that this is one of the best methods to get yourself up and running at full speed right away, everyday. How I came upon this idea! I read somewhere, and I can't remember where, and I think it was Andrew Carnegie who hired a consultant to come in and try to figure out a way to make his management people more effective. That consultant presented this yellow pad organizational concept to Carnigie and to his management people and told them to try it for a few months. Carnegie asked this consultant what he owed him for this idea. The consultant told him "try this idea out and then send me check for what you think it was worth to you"
About 6 months later this consultant received a check in the mail for $150,000, and that was 50 + years ago. Get the point.. Try it and see how much this idea is worth to you, and you don't even have to send me a check. Help others by posting your comments and ideas on this subject.